How Is Realign Different than FPU? ﻿REALIGN is a financial class that is helps you find true, lasting peace. ​Our financial struggles are always more than just dollars and cents. Our finances reveal our deepest fears, our greatest relational mistakes, and our hopes for the future. If we want true, lasting change, we can't just get on a budget, get out of debt, and save a ton of money. We have to solve the problem from the inside out! We have to change how we think about money, God and ourselves. During the Realign class, we will teach you just that! Watch Lesson 1 to see for yourself! "Since joining I have been much more conscious of my money, and have started tithing." 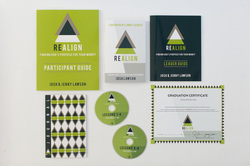 ﻿﻿﻿Whether you are looking for a small group curriculum for your church, organization or Bible Study, or you are wanting to go through the class on your own, REALIGN is exactly what you are looking for. Church after church has told us that they have been looking for an alternative to Dave Ramsey's Financial Peace University, and they have finally found it! We have heard from people all over the world who have gone through the class and are experiencing deep change that they never have before. They've gone through class after class trying to figure out how to get rich and get out of debt, but they still lacked purpose in their finances. Person after person keeps telling us that this class is exactly what they needed. And it can be exactly what you need to! ﻿If you want to go through the Realign class on your own, then today is your day! You can start the journey to freedom now. Go through the class Now! 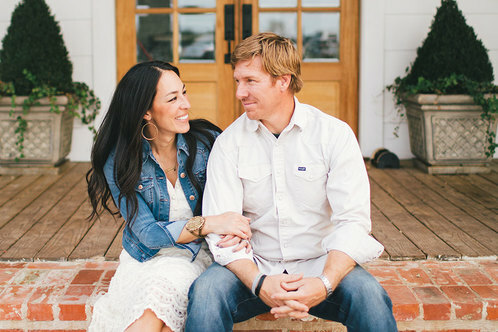 Josh and Jenny currently reside in Waco, where they raise their three boys, Asher, Jack, and Bo.